Which Mac tower was the most beautiful to you? This will exclude the G4 Cube. I always thought the lines on the Quicksilver had the most elegant lines. Re: Which Mac tower was the most beautiful to you? I liked the very Bauhaus look of the first generation Pro. I have a thing for Aluminum. 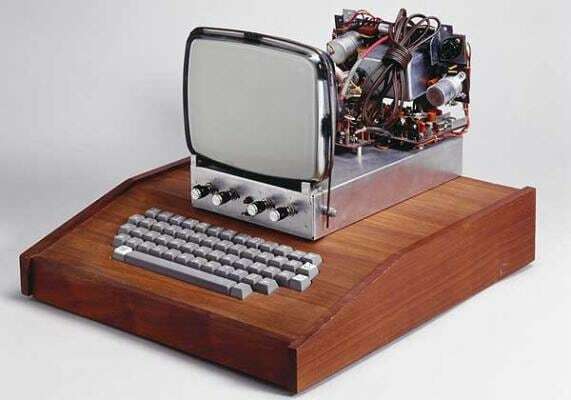 The 1976 Woodgrain iMac has a certain steampunk attraction to it. Edited 2 time(s). Last edit at 07/11/2018 02:46PM by Ombligo. I thought they were all ugly until they finally stopped using plastic. Agreed. The lucite handles and subdued grey scheme were classy. The later mirrored doors didn't add anything. The earlier blue one was too garish, and the grater was not quite as attractive. The trashcan had style and was innovative, but the world wasn't ready for it (then, or perhaps ever). No love for the 6500? Me neither. Quicksilver was as close as it got save the bare speaker on the front. 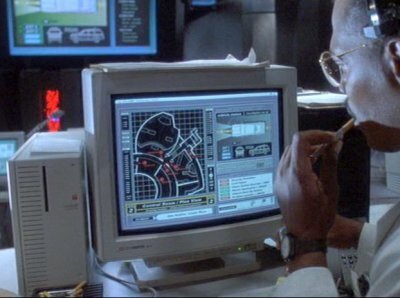 "Ooo, what a big power button!" First G5 Powermac was pretty revolutionary. That Quicksilver was pretty cool too. But neither of them were nearly as difficult to work on as my Performa 6400 with Daystar processor upgrade card! One of the best, for sure. This one was my first Mac that ran OSX (bought second hand). It had holes in that lower front cover that I've never seen on another G4. They appeared to be factory made. I loved the cheese-grater era. Such a versatile case. Would love something like that back. pRICE's pick would be my second. Heh, actually the Quadra 700 what the first one that sprang to mind when I say the subject line. A IIci on it's side. Does anyone else remember the clear lucite "legs" that put these machines a few inches off the floor? They were a great addition. The Quicksilver easily beat the Smurf - even though their lines were similar. Imagine if the QS had been offered in a gold color. I adore just about everything about my Mac Pro. Second would be the G5, although its interior leaves a something to be desired. Third would be my MDD. I love the functionality of the 8600 and 9600, but was in terms of beautiful exterior design, they were OK, better than the PCs of the time, but not wonderful in the way that the Mac Pro and G5 are. Those legs were perfect handles to carry the Mac with. 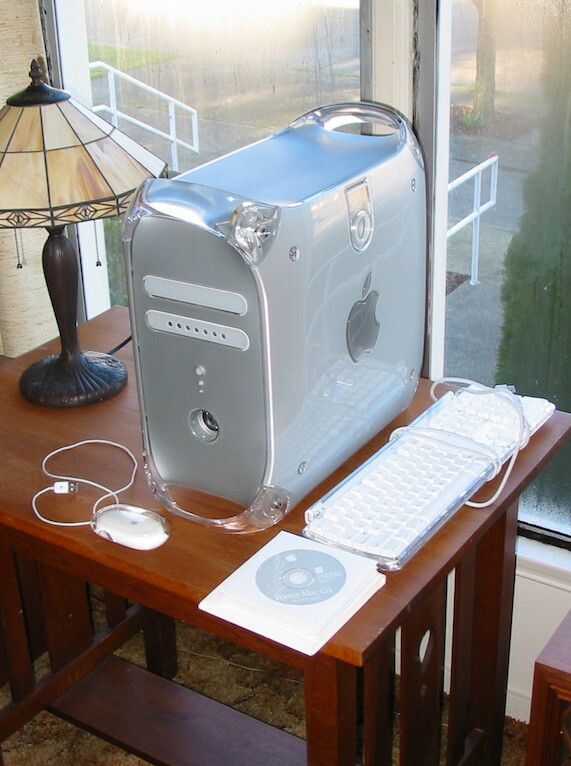 I remember lugging the Power Mac G4 "Graphite" down the street to the local Mac repair shop using that handle. Very comfortable considering the weight. I consider the Pro machines the ugliest Mac hardware Apple makes. I think the Trashcan has a quiet elegance. The cheese grater Al models take second. There’s always something about your first. And the one that got away. But the vote for my fave goes to my MDD. The Buick Roadmaster look appealed to me. It was referred to as the Wind Tunnel but I never heard it like that. With four HDs loaded, I think it was under fanned. It would have to be one of the G4s. G5s and the pre-2013 MacPros were nice, but very industrial. 2013 MacPro was very elegant, but it lacked the presence of a tower, and there were no contrasting elements like the clear lucite legs of the later G4s. Edited 1 time(s). Last edit at 07/13/2018 01:46PM by mrlynn.